Critical Path Project Management can be defined as the process of managing the project schedule by determining the longest path for a project. In plain English this means detailing the project activities and tasks cannot be done simultaneously. This technique is used for computing the earliest date when the project can be completed and any delay in completing the activities on the critical path will result in the project not getting completed within the stipulated time framework. For successful project management, it is imperative to identify the critical path of the project. 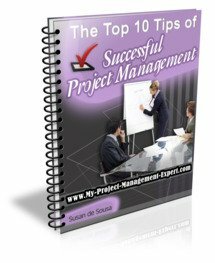 As such, critical path project management is valuable for accessing the impact of any change in scope on the overall project as well as for highlighting any causes of scope creep. This is because, if the scope change has an effect on the critical path of the project, then the schedule will be impacted. The float time for each activity is also determined. The obvious question that will come to your mind is how do you identify which activities in a project are critical. A critical activity is the one in which there is no latitude or float time available. These activities must be completed as scheduled otherwise; the project end date will be pushed. To calculate the critical path duration of the project, the duration for all the activities with zero float is added up. You should always remember that whenever the resources use up the float time available for the activity, it becomes a part of the critical path. Therefore, the resources should always be encouraged to keep float times in reserve for unforeseen problems rather than waiting to begin the task in the float time. Critical path project management also involves the project manager paying the maximum attention to the activities on the critical path to ensure that the project schedule is met. So how do you ensure that the critical activities are completed within the stipulated time? You might want to assign more resources, lessen the scope of the task, take on more efficient resources, change the process for completing the task, or motivate the resources to work overtime to ensure that the activity is completed within the estimated time. However, working overtime is not always encouraged as it might have an adverse effect on the quality of work. The critical path method is a network scheduling technique that uses one time estimate which is the normal time for completing an activity. It is deterministic in nature as it is based on a single time estimate rather than the three point estimate in PERT. It uses the most likely duration of each activity for computing the project duration. This technique is typically used in construction activities where the percentage completion of each activity can be calculated accurately. While creating the critical path method networking chart, the emphasis is on activities and the time and cost for each activity are taken into consideration. The critical path project management technique can also help you estimate whether you should speed up the project. It also helps in identifying the least costly method of speeding up the project. As part of your key project manager duties you should make sure that your project management plan is updated and reflects the latest changes in schedule. This is important because in many instance, activities might be completed ahead of, or behind schedule. In such cases, the critical path for the project will change. Therefore if the critical path has not been updated with the schedule changes, you would not even be aware of the unnecessary project time and cost as well as resources being spent on activities that are not really critical for the project.